The 2017 Land Rover Discovery Sport luxury SUV offers all the comfort and status of a BMW X3 or Audi Q5, but with one significant advantage: real off-road ability. Land Rover's advanced all-wheel-drive Terrain Response system makes novice off-roaders look like pros, leaving vehicles like the Mercedes-Benz GLK and Lexus RX 350 waiting for a tow. 2017 land rover sport-discover your city. With great mileage & comfort. It is very comfortable especially for long trips to Vegas. I have had a few problems the engine light came on. I have gotten nails in my tires. The gears shifted to 1. The gas is $3:59 a gallon of premium gas. It takes the back seats fold down and the center console consists of a USB outlet. It is capable with 3usb ports 2 outlets for electrical device. It is eco friendly. U can hook up a Xbox or any game console. It has Wifi in it. The windshield wipers come on when rain drops on the windshield. It is a great car if you have a family. The car rides smoothly. It has a lot of useful features like climate control, GPS, push button start and can even be controlled using the land rover app. It is also just an all around attractive vehicle. The only downfall is that it is not very fuel efficient. 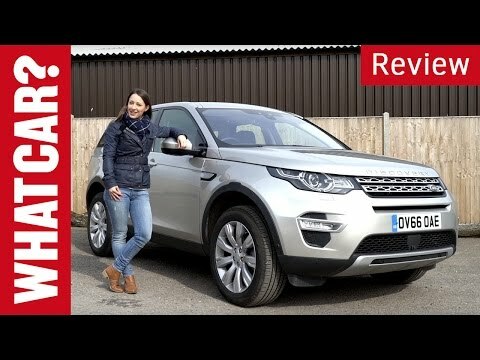 We purchased our certified pre owned Discovery Sport in June 2018. So far we are loving this car! It is roomy, but not a really large vehicle. It is great around town and on the highway. We have even taken it off road.